Last year I made a list of games that I was interested in that were being released at Essen. This year, I haven't found enough of interest so I'm including any games released in 2013 that I'm interested in. I actually feel good about the size of this list. There are many more games that look potentially interesting; however, with the games currently in my collection, I'm shying away from games that don't either: (a) add something sufficiently innovative or (b) have the potential to execute existing mechanics better than any of the best games in their genre, or (c) are 18XX or Winsome. At this point, while I've read the rulebooks of all of the games on the list, I haven't tried dissecting them. I may still try doing that. If so, I'll update the descriptions. Anyone who has a better feel for these games, please feel free to add comments. Also, if there are others games you think I'd be interested in, add a comment at the bottom. The games I'm most interest in are either in the 2+ hour range (usually with a strong economic aspect) or in the under 1 hour range (with a simple ruleset and lots of potential player interaction). Right now the game I'm most excited about. A small board that should be playable with as few as 2 players, multiple types of trains (with different revenue schemes) multiple capitalization methods, ability to block out other companies from even starting, and mergers and acquisitions. Kickstarted and can't wait to get. A train game that can either be epic (10+ hours) or played in an evening (4 - 6 hours). Also, while I haven't tried it with only 2 players yet, I think 2 players would be very playable since all companies are purchased before the game really starts. Other interesting points include limited number of holes in track so that early token placement is critical, an OE run that gets either a one-time big stock jump or one-time extra cash in the company. Kickstarted. Can't wait to get. Outlook: Kickstarted - waiting for January delivery. Maybe I'll get lucky and have it for Christmas? 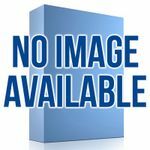 A deck building worker placement game. I kickstarted this based on A Few Acres of Snow. I felt AFAoS had the potential to be brilliant but ultimately fell short due to the dominant Halifax Hammer strategy. My hope is that SiE succeeds where AFAoS fails. Outlook: Kickstarted. Looks like it should be shipping any time now. I'm not sure why I didn't have this on this list a long time ago. My most played game of 2013, I consider Spyrium to be one of the most innovative games of 2013. The strategies surrounding the engine building aspect of it are fairly obvious and should be discovered within a game or two. That leaves players with the chance to play each other rather than the game. The tension in the game (and what has made it interesting so far) is the worker placement, push-your-luck dutch auction in the marketplace. While I have barely played this recently, I expect it will get back into my regular rotation as the other new hotness cools. Currently rated: 8 (might drop to a 7 -- not sure). While this doesn't really deserve to be here since it was bought on a whim rather than based on extensive research and excitement, this is one of my favorite trick taking games especially since it scales so well from 2 - 6 players (though I have yet to play it with more than 3 or 4). Outlook: Own. Will likely be in my collection for a long time to come. I've now played all three games. Northern Pacific strips the temporary alliance mechanic to its bare bones and creates an interesting game that plays in 5 - 20 minutes. Erie Railroad is a stock acquisition game that is also playable in 20 - 30 minutes. It's an interesting game but ultimately I'm afraid that it may come down to luck of the draw based on who has the train when the "right" stocks come available. Continental Divide seems the most interesting (but it is also the one I've played the least -- only once). Players start and invest in multiple companies that gain income is a typical way. However, at the end of the game the shares are worth VPs based on how far west the company has traveled. Companies therefore can either pick up lots of cash or be worth more VPs. Doing both in a company is difficult at best. Makes for an interesting game. This one had completely flown under my radar until seeing this highly recommended by a friend of mine. I decided to take a chance after seeing how much he gushed over it. After one play, I agreed that the production value was high and the theme was strong, and thought the game play was very good (initial rating of 8). After the second and third play (both 2 player), I still liked it but felt it was much more puzzly. The strategy of the game seemed to be "get a good 2 or 3 value card quickly and then use it to get to the end as fast as possible". While not a bad thing, it left me feeling like the game was more a puzzle than a highly interactive game (rating dropped to 7). After two more plays (both 2 player), I think my evaluation stands. It is mainly a puzzle game. Like Mage Knight: TBG, how can I make this hand of cards work for me. Unlike Mage Knight: TBG, it is a lot quicker to play and teach and players have much more control over their hand. 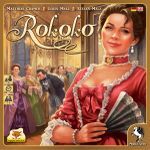 Both thin deck and thick deck seem like viable strategies and the game continues to captivate as a puzzle game. 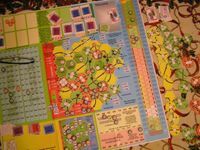 I do think there is more interaction, especially with more players, but like Terra Mystica, the interaction is more something to account for while making an executing your plans rather than a central concern of the game. Ultimately, I expect L&C to be like Terra Mystica was for me in 2013 and Mage Knight: TBG was for me in 2012: a puzzly game that I like but don't love which gets a lot of plays until I feel like I've figured it out. Currently rated at a 7, it may move back to an 8 at some point. Have just read the rules and this has the potential to be interesting enough for me to pick up. It's a network building, resource engine, resource management deck builder. That's a mouthful and would generally get me running for the hills because it's too many mechanics (or potentially too boring - see Copycat). However, in Gerdt's case, I think he's designed a streamlined game that has the potential to deliver. ON a player's turn, he plays one card from his hand and then does the action on the card (if he plays the Tribune, he picks up all the cards he has previously played). The cards let him get colonists, move colonists, build buildings next to colonists, harvest goods from buildings, buy/sell goods, get money, or buy cards. Producing goods is particularly interesting. There are 11 or 12 provinces (different maps for 2 - 4 and 3 - 5 players). When goods are produced by the Prefect card, the player picks one province and all buildings produce (regardless of owner). The province token is flipped over and is now worth a $1. The province won't produce again until a player plays his Prefect card and gets $1 for each flipped over province token instead of producing. Note: there are also Specialist cards that produce goods for one type of good for only that plyer. The other interesting aspect of production is storage is limited. Players have 12 storage spaces but at the beginning of the game 4 of them are occupied by colonists. They are cleared only when the player chooses to pay for them and put them on the board. What's more, players can't choose to discard goods they already have to produce more. The can, of course, either sell the goods to the bank or use them to get colonists or buildings by playing the appropriate cards on their turn. Players start with the same 7 cards. I'm not sure what the additional cards do, if anything (besides the Specialists). However, each of the cards does provide end game bonuses for money, goods, provinces, colonists, etc. All of this sounds interesting and would definitely have gotten a play from me. However, while I enjoyed Navegador it began to feel samey after 5 - 10 plays. Goods came out in similar fashion each game and movement always proceeded from left to right. Concordia solves this to a large extent by each game randomizing what goods are produced in what cities. 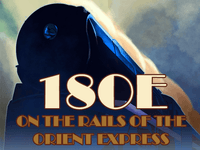 Currently, this is the non-18XX, non-Winsome, non-MW I'm most excited about. Mauna Kea - just saw this. From the designer of Walnut Grove and Eclipse, this has potential. Players start with 2 meeples in the middle of the island, next to the volcano. 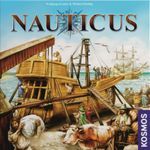 On a player's turn, he needs to lay tiles and move his meeples to collect artifacts on the way to his boat. However, tiles can either be layed or discarded for movement points so on each turn players need to decide what's more important. Looks like some push-your luck, some blocking, no screwage (no choice in how lava tiles are laid). I'm not sure how tough the decision will be between laying tiles and using their movement points, but I'm hopeful. Sail to India - Reminds me a bit of Meuterer as I think there is a decent amount of game here with a small set of cards and pawns. Players have 12 pawns, 2 start as ships, 3 as scientists, and 1 as a money marker. You will also need 1 as a VP marker. The thing is, each time you go over $5 or 5VP, you need to use another marker. However, you also use markers to build buildings, as ships to sail, and as goods markers. I suspect this tension will be nice. The game itself is relatively simple. With ships in Lisbon, you can sail to other ctiies (cards) based on ship technology and if the goods/buildings on the cards haven't been claimed (markers on them), you can claim them and use them to make money and VPs. New Haven - Tile laying game where each round a resource tile with 4 icons is placed on a community board and the connections of those icons to icons on adjacent tiles determines how many of the 4 resource types are available to build building tiles on your personal board. End game points are based on completed rows and columns on your boards. 2 add'l interactions -- any left over resource types can be used by other players to build buildings and you get new building tiles based on how many resources are at 0 at the end of your turn (after players may have used some of the remaining). Looks like a 45 minute innocuous game with a lot of player interaction. I'm not crazy about the screens, but it may be possible to play with the tiles in hand. Citrus - Like many of the games I've been interested in lately, the rules are simple but the play and the interaction look fairly deep. However, the rules make it feel like an abstract and I'm not sure how much traction I'll get at home to play it. At its heart, it's a tile laying, area majority/enclosure game; however, in order to buy tiles you need money and to get money you need to harvest previously laid tiles, removing them from the fight for area majority/enclosure points. I'd be very interested to play it and depending on the box size and the price point, I'd potentially be interested in owning it. Price is 37 Euro ($54 US) and there will not be US distribution in the short term. Pentos - I've read the rules several times and still can't get a handle on it. A common pool of cards where you can add cards to one of several piles, take cards, or discard cards for special actions. Three rounds and at the end of each round you get points based on sets of cards. The Builders: Middle Ages - A card game with a worker placement mechanic. Get workers, build buildings, and get money. Innocuous but possibly entertaining. Outlook: Not available for Essen. Will continue to keep an eye out. Continental Express - a light card drafting set collection train game. Missed that the designer is Charles Chevalier. Interest level is a little higher. Reasonably priced. If I can add it to another order, I'll definitely get it. After further review, sounds a little too light for me. Outlook: Good price point but will pass for now. The Outcast Heroes - a light "cooperative" war game where there is a potential traitor mechanic that changes 3 times during the game (and the game is short). At the end of the 3rd round, whoever has the most points wins. If it's inexpensive, I'll probably get it, just to play it a couple of times. Field of Glory: The Card Game- Reminiscent of Omen: Reign of War. Players build their own decks (a la Campaign Manager). Players play through their deck and get to shuffle twice. When both players have exhausted their deck the second time, the game is over. On a player's turn, he can put cards in as many columns as he wants (and can afford) but no more than 2 deep. He can also attack (each player can add a card for its Command Points) and he gets some points for flank attacks. If he is greater, the terrain card rotates towards him, but it can rotate back next turn if the other player wins the next attack. Looks like it may be fun and I'd enjoy playing it, but probably won't buy it unless it's under $20. Outlook: Currently needs to be ordered from Treefrog. Passing on. S-Evolution - A trick taking Civ game. Sounds a bit wonky. Definitely interested but I want to hear what my geekbuddies think. Geekbuddy responses are negative. Rules are up. As Dave said below, it is definitely a worker placement game with a train theme. There is no money or shares in this game. It is purely worker placement. The only elements that looked particularly interesting were the trains. Trains are taken in order and bigger trains are better. However, once a player has 4 trains and acquires a 5th, he must return one of the trains to supply as a factory. Factories are available from the beginning of the game (and are on the reverse side of the trains) and provide a special power when players advance their industrialization tokens far enough. There's definitely a lot of gears to twist. I need to advance black track to build infrastructure, but grey/brown/natural/white track is what's worth VPs, but I can never extend it further than my black track. There are 3 tracks to extend each color with different bonuses on in each track. Plus the fourth industrialization track. VPs are given for track built + locomotives covering that track and for for industry counter moved. 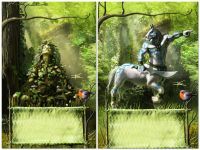 At certain points, players can get special powers and which ones they pick affect in game powers and end game scoring. It looks like it'll be a fun game and I want to play it. I may even decided to buy it, but there's no need to import it. If Z-Man takes a year for it to be available, I can live with it. Outlook: Waiting on the price, but will likely order (possibly pre-order) it after it has a U.S. distribution (hopefully next month?) The price is reasonable (~$40) but the Essen buzz is that it's just another worker placement game (despite having one of the best economic underpinnings). Think I'll pass for now. Hopefully I'll get a chance to play it at some point. 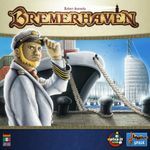 I had dismissed this as a Le Havre lookalike, but the rules came out today and it looks interesting. It's an auction, resource engine building game where the auction follows an Aladdin's Dragon format. Beyond the auction the game is only moderately interesting, with players getting better bidding cards, buildings, ships (with goods on them) and contracts (to sell goods). One twist is that players need to offload goods to a storage area before selling them and that storage space is limited. At the beginning of the game, half of it is blocked and as the game progresses, buildings go into the same spots as goods so players need to weigh the tradeoffs. Scoring is interesting. Players get prestige for the size of ships and buildings they have. However, prestige is a "high water mark". When the ships (or buildings?) leave, the prestige remains. At the end of the game, player's score is his cash on hand multiplied by his prestige. It's got a couple of interesting mechanics with a moderate amount of player interaction. Interested to give it a try but not sure if it's one to own. MSRP of $59.99 and unclear if there is an English version currently. Will probably wait until it's available domestically. 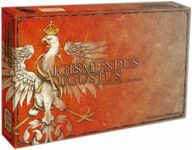 Currently, the only Essen game that I'm thinking of pre-ordering. It reads a little like Pret a Porter, with the collecting of silk and yarn and stuff to make dresses. However, the construction and sale of it is 2-tiered with options of selling for money and VPs. Also, it looks like there is some deck-building hand management to it which could be interesting. I'm not convinced how strong it will be and may wait to see the cost, but it's definitely got me curious. I've now seen two comments suggesting this is a point salad deck building game. I need to re-read the rules but if so, my interest is waning. MSRP of $60. Will probably wait until there is a U.S. release. U.S. release is a limited run from Eagle Games with little discount. Think I'll be passing on this until I can find it for a reasonable price on the secondary market (may be a few years). I'm hoping the price point on this is relative low. If it is, this could be a big 2-player hit for me. It's got a bit of an abstract feel to it; however, in general pieces don't move so I think it'll be different enough from Chess that I want have a huge advantage at it. It's got a fantasy theme. It supports 2 - 4 but looks like it'll be especially strong with 2 (reminds me a little of Neuroshima Hex). Thanks to Nathan and Nathan for pointing this one out to me. Just saw where someone felt the cards were simultaneously too restrictive and too random. Without sufficient plays, it'd be difficult to figure out what cards the other player(s) has and is working towards and at the same time, your cards will determine what you can work towards/accomplish. Still one I'm curious about if the price point is right. Outlook: Waiting on the price. Will likely wait till others have played it and the hype has gone down. If it ends up being as hot as it looks, that may mean waiting for the second print run. After the Essen buzz, will not be purchasing. Components sound lackluster and above comments seem to remain true. Probably one I'll wait to hear what people think, but it looks interesting. Every action costs a resource plus whatever the action specific cost is. Multiple currencies (rep and gold). Network building and resource delivery. Not sure if there is enough innovative but I'm pretty sure I'd enjoy it. edit: just read the final version of the rules and am wishing I had kickstarted it. The preorder import shipping price looks to be a bit too high for me to get it, but I'm very interested in this. It looks like a pick up/deliver economic game but with some interesting deck building aspects to it that may make it different enough to be worth owning. I'll keep my eye open for FunAgain and GameSurplus to see about getting a copy. 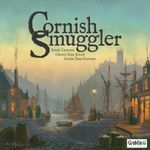 A combination of Bleasdale and Knizia definitely deserves a look but I'm withholding judgment until I get to read the rules. Decision: will wait for U.S. distribution and early adopter reviews. tldr: a tile laying, city building game with multiple currencies (cash & pollution) to manage. Interesting mechanic: two types of tiles with costs that vary based on how far players have advanced on their respective tech tracks. The rules just came out and I'm still not convinced. It's lighter than I was expecting with more potential issues related to luck of the draw. The short version of the rules is that players are trying to advance on 2 research tracks while simultaneously gaining money and cash and controlling pollution. Tiles give positive or negative energy/ecology (which either gives player money/removes pollution or makes players pay money/gain pollution), research (advance on a research track), capital (get cash) or VPs (get VPs). Scoring happens each turn for one of the five things. So, a good scoring tile coming out at the right time which also gives good stuff and which the player may be able to immediately buy could be a bit swingy. It looks like there are multiple ways to advance your position, but I'm not convinced. I think it's a game that would be good for a few plays, but I don't know that it's got long term potential.